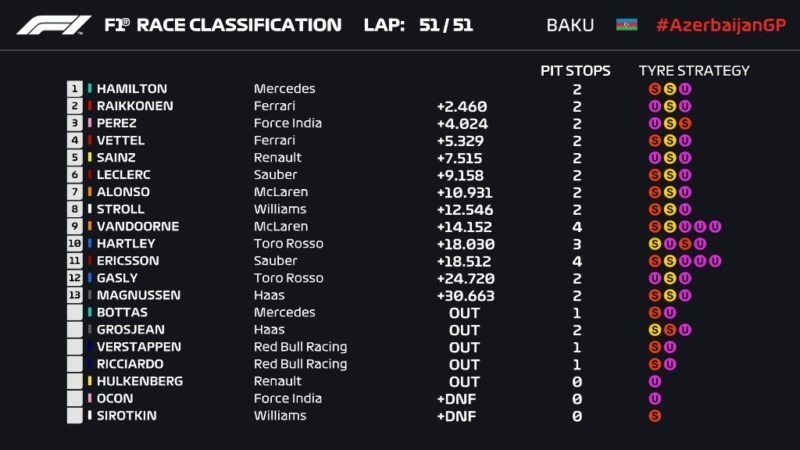 As of late, the Azerbaijan Grand Prix has garnered a reputation for being a spectacle. Following yesterday’s qualifying results, it set the stage for an interesting race. Sure enough, today’s race delivered the unexpected in droves, from beginning to end. Much like last year’s outing, the 2018 race was one of chaos. 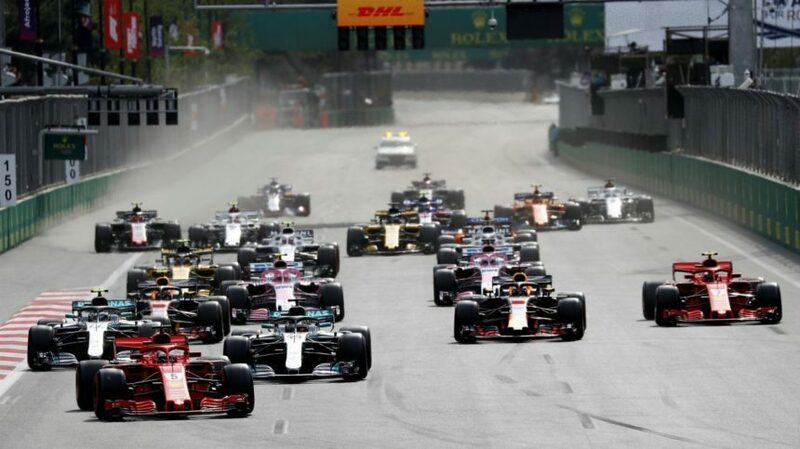 Sebastian Vettel began from pole and looked to have the race victory in his grasp, that is until the closing moments of the race turned things on its backside. Mercedes’ Lewis Hamilton stole today’s victory and assumes lead in the championship. 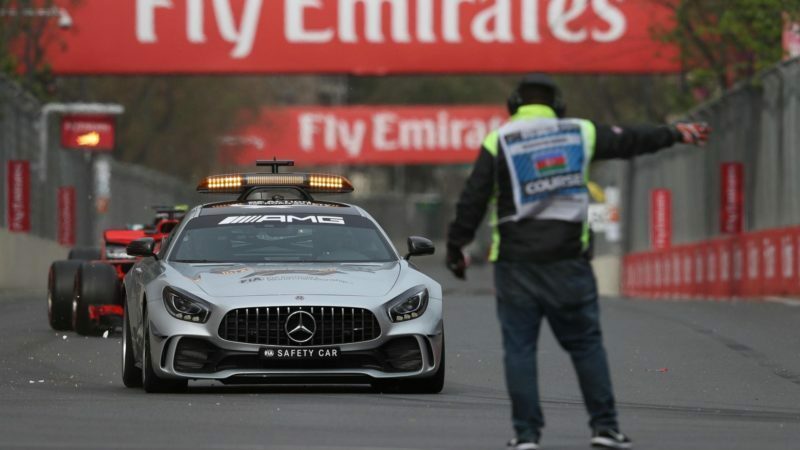 A frenzied opening lap resulted in a series of incidents, prompting the safety car. Beginning with Turn 2, Sergio Perez looked to get a little too close to Ferrari’s Kimi Raikkonen ahead. 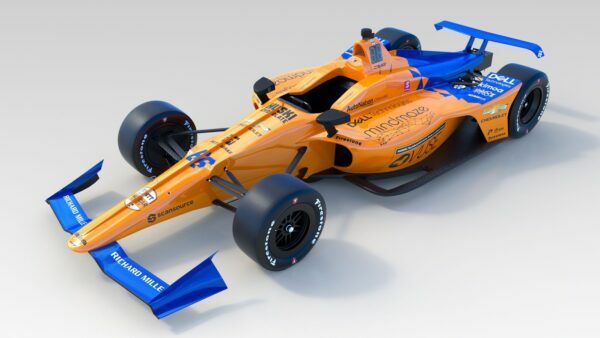 The move resulted in losing the left front wing endplate, chucking bits of debris into the air. The carnage continued as teammate Esteban Ocon raced alongside Raikkonen into Turn 3. With the two side-by-side, the unavoidable contact pushed Ocon into the wall and out of the race. Not only did the incident result in even more debris placed on track, but it forced the Finn to pit for a new front wing. Further back, there was more chaos as Williams rookie Sergey Sirotkin’s race came to an end. 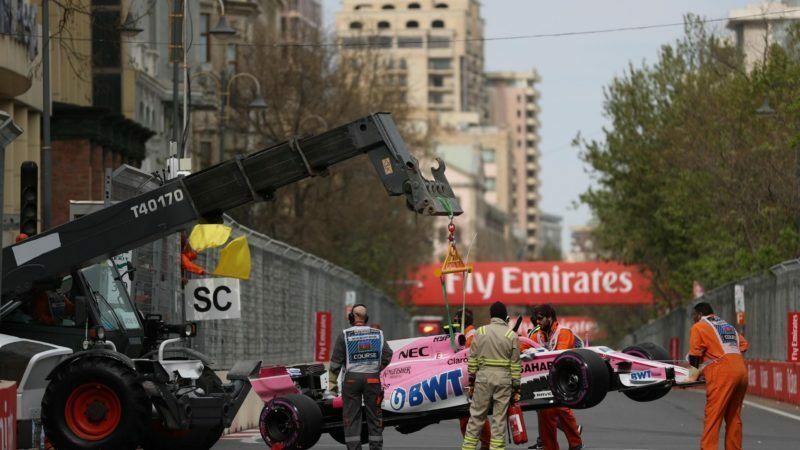 Sirotkin bumped Sergio Perez, forcing the previous contact with the Ferrari driver. Pinched, the Russian driver sat between Fernando Alonso’s McLaren and the Renault of Nico Hulkenberg. Hulkenberg, moving for position, clipped Sirotkin into Alonso, resulting in a damaged front-left half of the car. Alonso limped back to the pits with both right-side tires punctured. 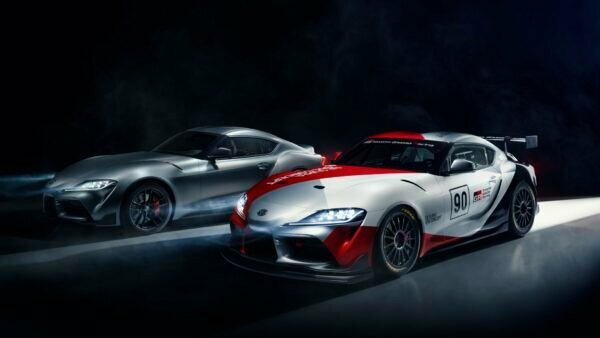 Meanwhile, the Safety Car made its way onto the scene, allowing the damaged cars and debris to be cleared. With the race resuming on lap 5, Vettel maintained control in front of Hamilton and Valtteri Bottas. Hamilton closed the gap between them down to four seconds before locking up on lap 21. Coming into the pits to change onto softs, Bottas moved into second place. The Briton struggled for pace, allowing Vettel to stay out for more than half of the race. Coming in on lap 30, the Ferrari driver also switched onto the softs, but Bottas ran a longer stint and thus took the lead. Behind the leaders, Red Bull drama persisted through a good chunk of the race. On lap 6, Max Verstappen overtook Daniel Ricciardo for fourth through Turn 2. Backing off, Ricciardo fell victim to Carlos Sainz’s Renault, moving him down to sixth. Both Sainz and Verstappen fought a back-and-forth battle for several laps. Max was able to hold off the Renault on ultrasofts before the overtake on lap 9. Likewise for Hulkenberg, who would overtake Ricciardo for sixth. 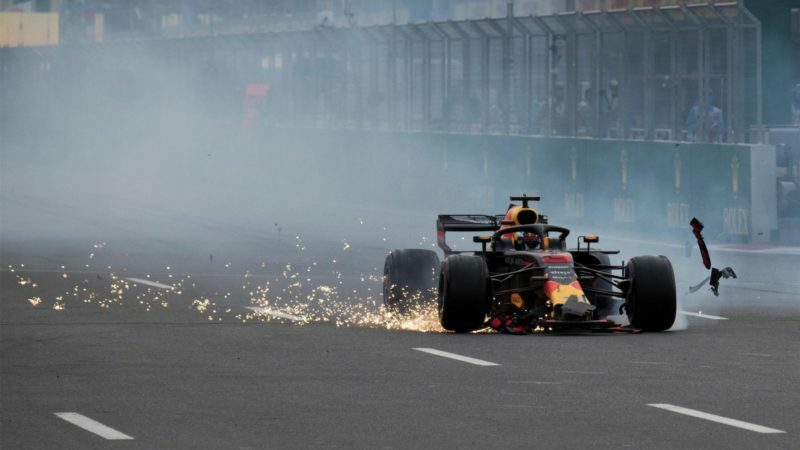 Verstappen complained of battery issues, a result of heavy usage while defending from Sainz. In fact, both Red Bull drivers had the same complaint. Before the end of the lap, Hulkenberg would also make the move on the lead Red Bull for fifth. Max looked to have another go into Turn 1 but the Renault held the inside line and stayed ahead. Unfortunately, Hulk’s race came to an end on lap 11. Heading into Turn 5, the rear of the car locked up and collided with the wall. It was a disappointing result for the factory team, as Hulkenberg had fantastic pace. It looked to be Daniel Ricciardo’s turn to overtake next. 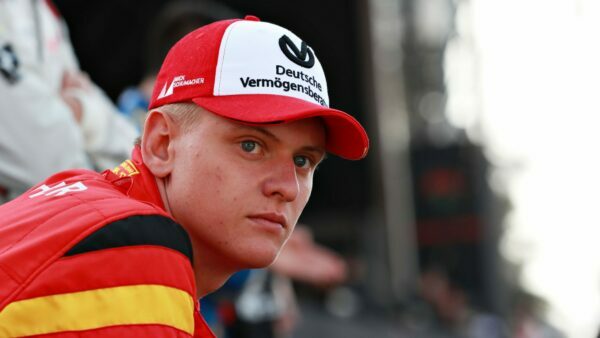 He had the upper-hand on Verstappen, but fell short several times. 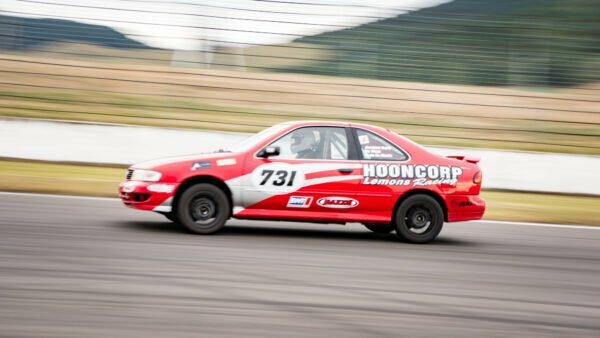 The duo even bumped wheels through Turn 1 on lap 12. Pit stops for both drivers saw the fight for fourth between them heat up further. It was unlucky then that things came to a head at the start of lap 40, again, through Turn 1. Ricciardo slammed into his teammate’s car, lifting the car in the process. Both cars skirted onto the escape road and into a double retirement. 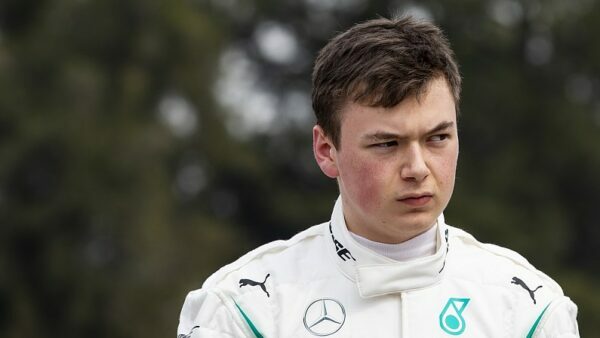 Not the result either driver or the team wanted, especially after the Chinese GP. This saw the safety emerge for a second time, staying out much longer than before. On lap 43, Haas driver Romain Grosjean lost the rear of the car while warming the tires and slammed into the wall. It was a weekend Grosjean will want to forget as soon as possible, considering he sat in sixth place. The race resumed with only four laps remaining, and it was here that everything turned on its head. At the restart Vettel dived down the inside of — you guessed it — Turn 1 to regain the lead from Bottas, but locked up. Running wide, the German dropped down to fourth behind Hamilton and Raikkonen. Bottas managed to get ahead of DRS range for Hamilton, and with the win ahead of him, drama struck once more. Bottas ran over a piece of debris on lap 42, picking up a rear-right tire puncture. 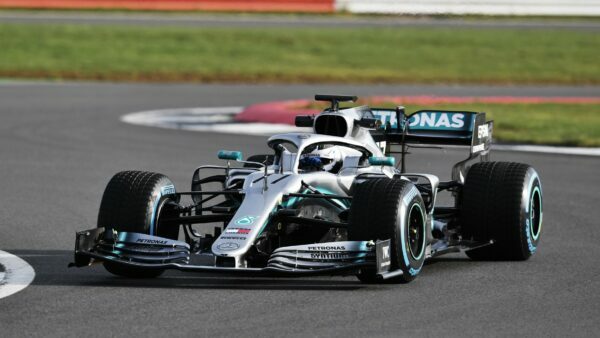 With his teammate retiring from the race, Hamilton moved into the lead to win the race — his first of the 2018 season. 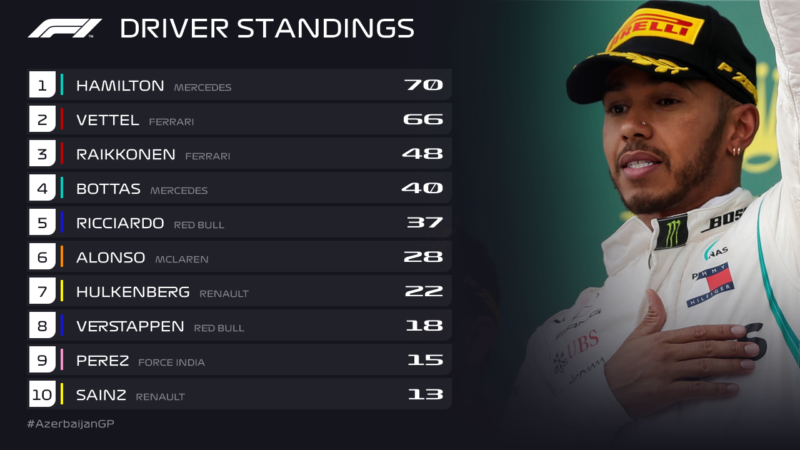 After today’s race, Hamilton leads the championship over Vettel by four points. Raikkonen tucked behind him in a comfortable second, taking third from Bottas. With both cars finishing in the points, Ferrari takes the constructors’ lead, 114 points to 110. Sergio Perez crossed the line in third. A fantastic, albeit shocking result for Force India, whose provision was no higher than fifth. 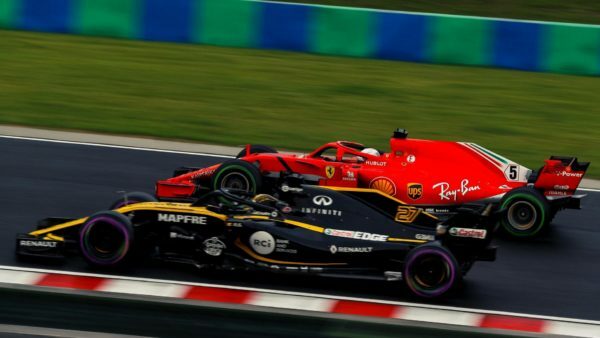 Vettel held onto fourth ahead of Carlos Sainz. Sainz’s performance in the Renault is his best result to date — a nice end result for the Spaniard after going toe-to-toe with Red Bull earlier in the race. Charles Leclerc took home sixth, scoring the first points of his F1 career. Alonso takes seventh for McLaren, scoring more points in four rounds than the entirety of 2017. Behind him is Lance Stroll in the sole remaining Williams. It was a great recovery drive following a haphazard opening lap that required a new front wing. Stoffel Vandoorne finished ninth, another double points finish for McLaren. Brendon Hartley rounds on the top 10, scoring his first win for Toro Rosso this season. 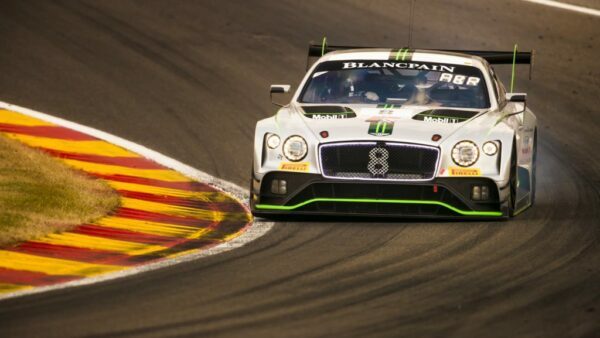 In two weeks time, the circus heads to Circuit de Barcelona-Catalunya for round five. Only time will tell what that has in store.